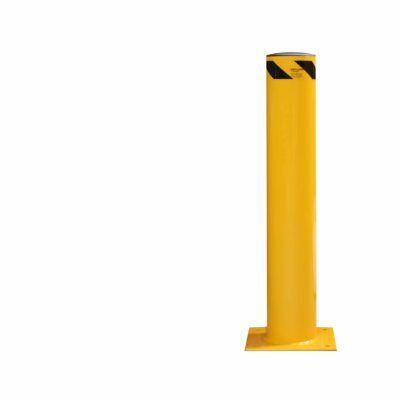 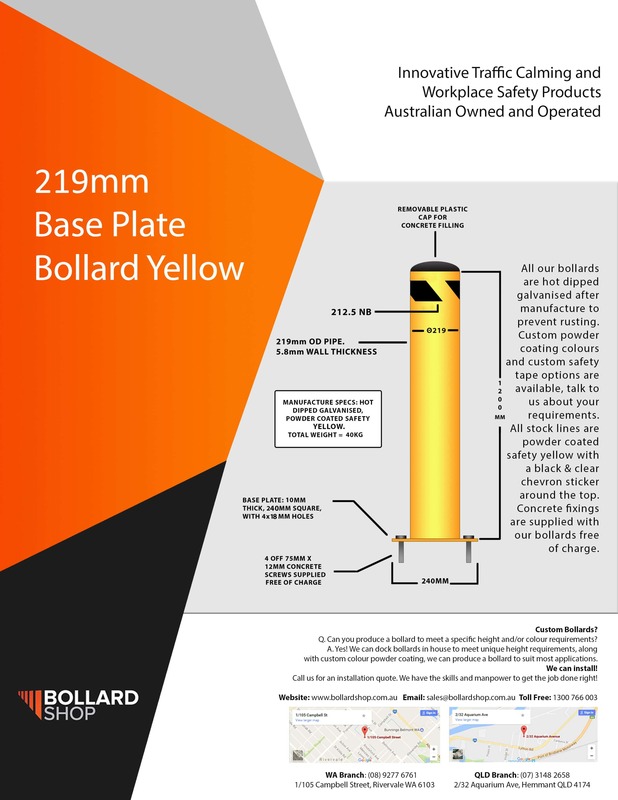 Our 219mm Base Plate Bollards are Hot dipped galvanised after manufacturing and then powder coated in a durable paint to ensure years of use. The removable plastic cap allows for the easy filling of concrete if required. Base plate: 10mm thick, 300mm square with 4 x 18mm holes.